Quantum computer is touted as the next big leap in technology. China has been leading the Quantum computer arena and has already sent a hack-proof quantum computer into space. They even managed to achieve the first ever Star Trek-like teleportation by sending a ‘Photon’ 500 km from space to the Space Center in China. The United States is not far behind but its Quantum computer technology is shrouded in secret under the official secrets act. Indian scientists who have made a name for themselves by sending ‘Mangalyaan’ a Mars orbiter at 1/5th the price of American Mars Orbiter and launching an extraordinary 104 satellites in the space at one go. Now the Indian scientists have embarked on their next mission – building India’s own Quantum computer. Keen to tap into the next big advance in computing technology, the Department of Science and Technology (DST) is planning to build its own quantum computer. 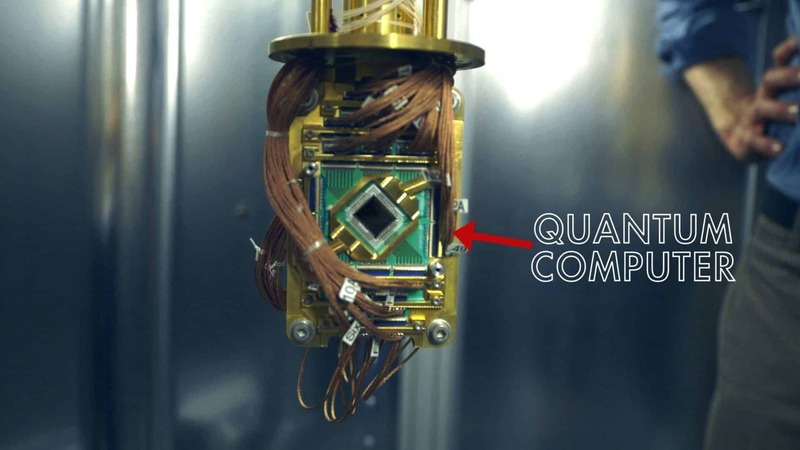 Unlike the normal computer and laptops that we have at our homes, the quantum computer employs the principles of quantum mechanics to store information in ‘qubits’ instead of the typical ‘bits’ of 1 and 0. While our computers and laptops run on the principle of bits and bytes, the Quantum computers run on ‘Qubits’ These Qubits are theoretically 100 times faster than the conventions bits and bytes and work faster because of the way such circuits are designed, and their promise is that they can do intensive number-crunching tasks much more efficiently than the fastest comparable computers. How fast is a Quantum Computer? Quantum computers are considered to the fastest things on Earth. To give you an example, a quantum computer would require 3.5 million fewer steps than a traditional machine to sort and parse a billion numbers. A quantum computer can find the solution in only 31,623 steps compared to the millions of steps a conventional computer would take. What is the use of a Quantum Computer? One of the top uses of Quantum computer is of course military. Indian military could have the power to number crunch any problems from field military formations to in-house missile tests and hydrogen yield testing. Quantum computer can also be used to predict the weather correctly. India depends on monsoon and a correct prediction may help its millions of farmers produce a variety of crops according to the monsoon outbreak. A quantum computer can also help ISRO’s space programme besides providing the necessary infrastructure for the Aadhar card backbone. The Indian government hopes to directly credit benefits and subsidies (Universal Basic Income) directly to the account of the beneficiary. How long will India’s Quantum Computer take to build? While India has the necessary resources like brain power and funds, quantum computing is a very resource intensive enterprise. The Physics departments at the Indian Institute of Science, Bangalore, and the Harish Chandra Research Institute, Allahabad, have forayed into the theoretical aspects of quantum computing, the first step to building India’s own quantum computer. Experts from across the country are expected to gather this month in Allahabad for a workshop to develop such a computer. Canada’s D-Wave Systems which a pioneer in developing quantum computers and has sold machines to Lockheed Martin and Google will also be a part of this august gathering. Still, India is at least two years away from actually building its own quantum computer according to experts.